I have a feeling my blog won’t be so popular this week. I like to think it is the weather affecting people’s brains but it also could be down to the fact that it has been dominated with Westlife. I just can’t help it; I really miss those boys. They were a staple of my childhood and beyond. 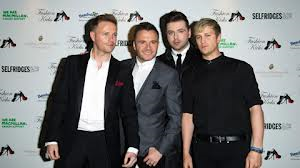 Every year I embarked on a family filled Westlife concert. I even flew home from Berlin for the farewell concert at Croke Park. The fact that I had Westlife and my family so interconnected makes their break-up even harder. At least Shane has embarked on a solo career which I really hope takes off. Anyway, I hope the other die-hard Westlife fans out there will appreciate this post. Enjoy!